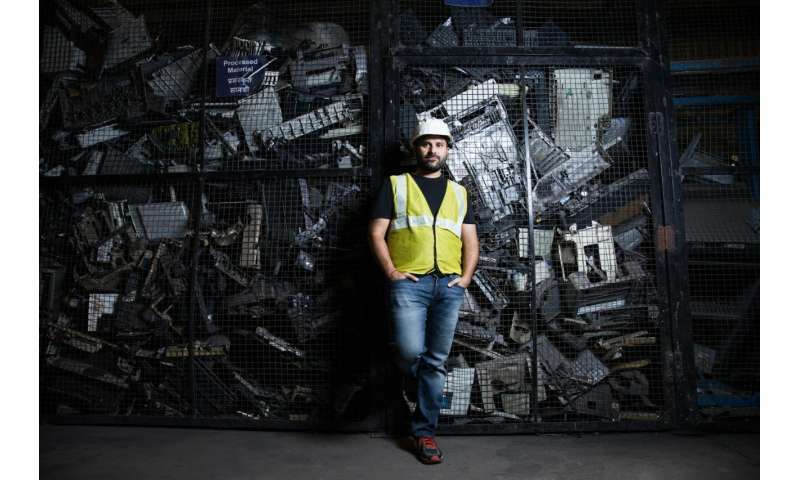 It was a chance trip across Sydney's Parramatta Road to a second-hand electronics store that sparked a big idea for Jeevesh Kumar (BE(Software) '04): a sustainable electronic recycling company. "I was living on campus at the time," he says. "I went to the second-hand store across from Victoria Park and got my first refurbished laptop. I knew I didn't need something brand new, and I thought, more people need to do this. Purchasing upcycled electronics needs to become the new normal." That need is becoming more urgent. E-waste is the fastest growing stream of rubbish today. In the last nine years, global production of e-waste has more than doubled to 49.3 million tonnes. By 2021, it's predicted to reach 57 million tonnes. In Australia, the problem is severe: it's estimated that by 2024, we'll have dumped 223,000 tonnes of discarded electronics in landfill. To help confront this growing crisis, Kumar co-founded Greenscape Eco Management in 2007. 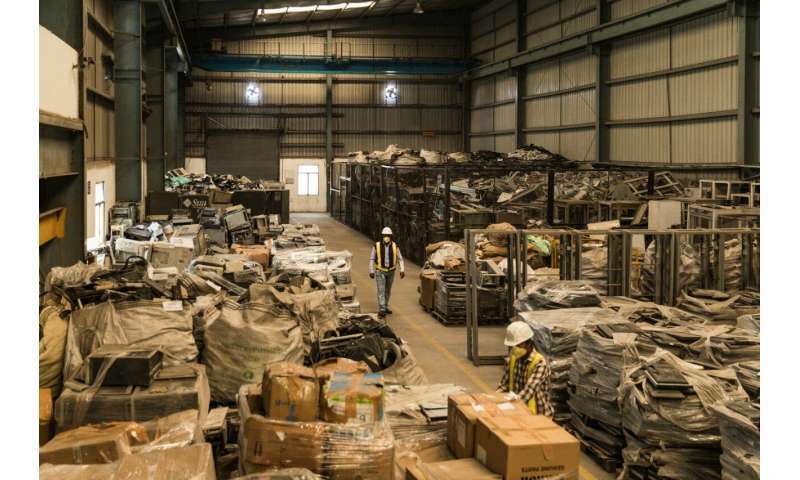 It's now India's leading IT disposal service, taking electronics that were destined for landfill and upcycling them, extending their life by repairing them, or mining them for valuable elements that are then reused. 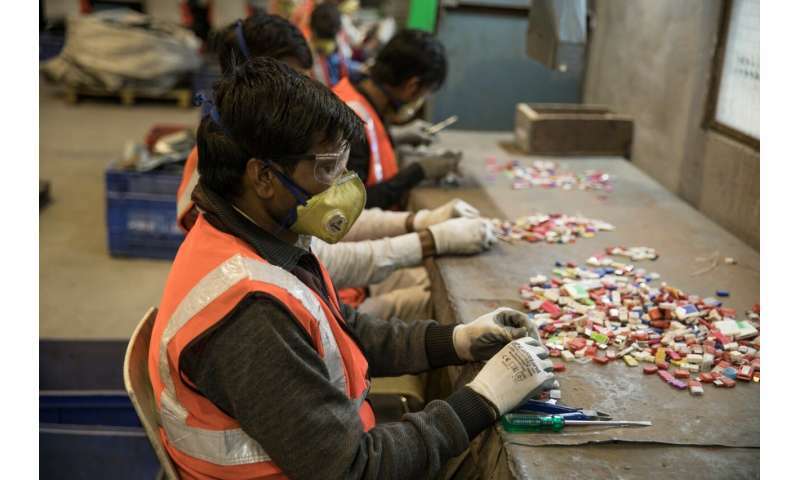 If the e-waste problem is severe in Australia, it's at breaking point in India, where Kumar was born and grew up, and where he now lives in New Delhi. Here, two million tonnes of e-waste are generated every year. In Australia, the e-waste problem is compounded by the fact we don't consistently direct our used devices to formal recycling centres. India has that plus the added problem of 'backyard' recyclers who mine the streets for discarded e-waste, and use dangerous methods to extract the elements within, causing potential harm to themselves and the environment. They're also riddled with toxic compounds like lead and mercury, so to extract the good stuff, you need to be careful. But amateur recyclers aren't careful, and 90 percent of e-waste in India is processed by these workers. As an example of the processes they use that can do more harm than good, a popular way of removing gold from circuit boards is to soak them in nitric or hydrochloric acid, which then contaminates waterways. "There is so much inequality in India," says Kumar. "So you can see how this unorganised sector would want to take advantage of e-waste. And it's very hard to tell a guy who doesn't know where his next meal is going to come from: 'Look, you're doing it wrong.'" Kumar and Greenscape have stepped in to turn these amateurs into trained, skilled recyclers and remove the e-waste problem from the streets. "The social part – training people to do this properly – is very close to our heart," says Kumar. Greenscape mines e-waste 'from above', meaning it removes unwanted electronics and prolongs their useable life by repairing, refurbishing or 'harvesting' the devices for valuable components. "We just thought it was a great idea," he says of the initial push to found Greenscape. "What if we could mine all these commodities and, at the same time, process e-waste in the right way? It would solve several problems at once." The process works like this. Say a mobile phone comes in from one of Greenscape's roving collection teams. First, there'd be an attempt to extend its life, as this is the most sustainable thing to do. "Recycling still costs the environment," says Kumar. If the phone can't be resuscitated, the team will take it apart and separate each of its commodities: plastics, the battery, metals and so on. These become raw materials to be processed and then sold to manufacturers who use them in other products. While Kumar is proud of Greenscape's success so far – in just over 10 years, the company has grown to employ more than 230 people and has an office in Singapore – he's concerned about where the world is headed. "Our culture is obsessed with the next big thing," he says. "You know, 'the new iPhone has come out and I need it right now'. We need to end that idea." Part of Greenscape's mission is to make recycling popular again and nix the idea of 'planned obsolescence' where products are created with the intention of becoming outdated, to encourage customers to buy new versions. "This is just so flawed," says Kumar. "Companies pushing you to upgrade so they can make a profit, without taking responsibility for their waste: it's a nightmare for the environment." While some big tech companies are getting better at managing e-waste – Apple, for example, is working towards making its laptops and phones from renewable sources or recycled materials – a huge part of the issue is our consumption habits. Greenscape's recent social awareness campaign, Tiny Bugs Tweet, is testimony to the company's commitment to changing attitudes towards e-waste. The campaign installed small devices in rubbish tips in India. Every time an insect came near them, a tweet was sent about the impact of e-waste. "We want people to be really clear," says Kumar. "Refuse the waste – stop buying as much – and reuse as much as you can. And at the end of a product's life, if you have no other choice, recycle it in the best possible manner." For some, the ever-growing problem of e-waste might seem just too hard to tackle. But Kumar is defiant in the face of the challenge, and hopeful. "One thing I've learned is that there's no button you push to magically end the problem. It's baby steps, day by day. Changing one person's mind, recycling one laptop. That's how it gets done." "Whatever we have now, we need to take care of it," he says. "There is no planet B."